If you see yourself as the next Ginger Rogers or Fred Astaire, but need a pointer in the right direction, Karen at Real Dancing School is on hand to help. With a wealth of experience and knowledge, her friendly and enthusiastic teaching style is perfect for adult beginners and more experienced dancers alike. 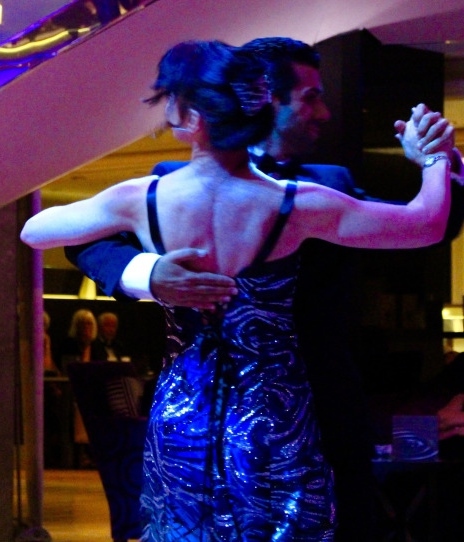 Attending the classes, you will learn routines and technique for a variety of Ballroom and Latin dances, including Waltz, Rumba, Cha-Cha and Quickstep, amongst others. The steps are emailed to members to enable practicing between classes. Karen is an award winning dance teacher, and has been recognised for her commitment to supporting her students and her technical excellence. When Karen sees that her dancers are progressing, she encourages them to enter their medal tests, although this is not a requirement and members who do not wish to take medal tests are still more than welcome to attend the classes for fun. Classes take place on Friday nights at Hi-Bri's Dance Studio in Shirley, and a new beginners class will be starting soon. See the website ( www.realdancing.co.uk ) for details. The lessons are £5 and are an hour long. Couples and singles are welcome, any age or ability. As an added bonus, parking is free and plentiful - just behind Aldi on Stratford Road in Shirley.